Enjoy stunning ocean views and cool ocean breezes from the most desirable elevated 1st floor ocean front villa at SSV. 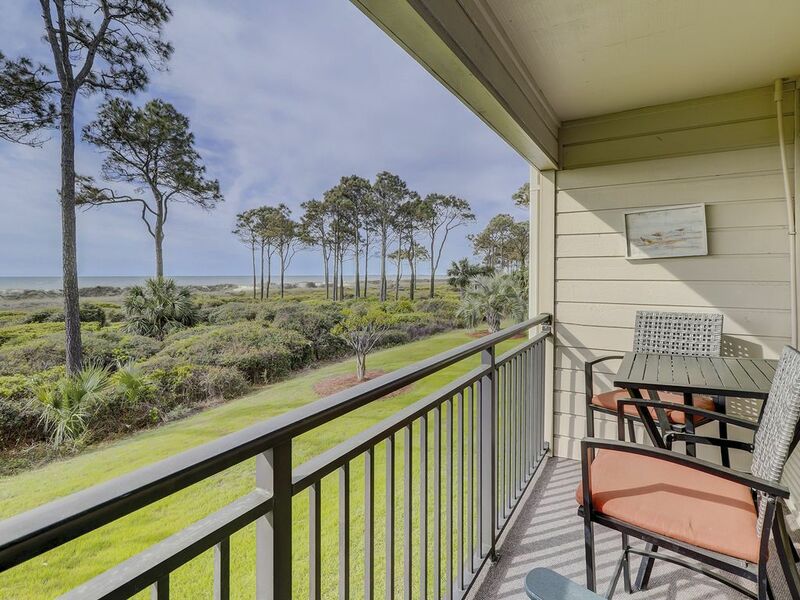 Relax on the private balcony while enjoying a sunrise at breakfast, a glass of wine in the evening or watching the moon rise over the ocean. 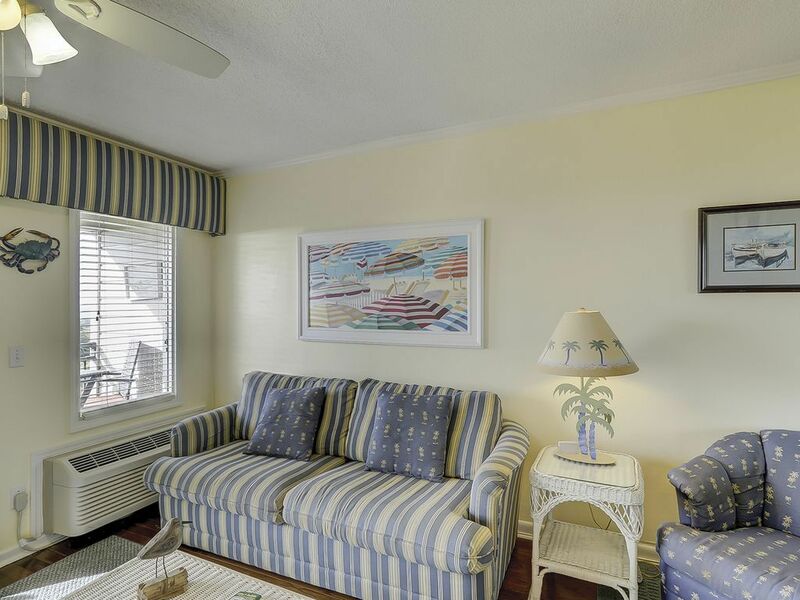 The beautifully decorated villa was recently renovated in a tasteful beach theme and is non smoking for your comfort. 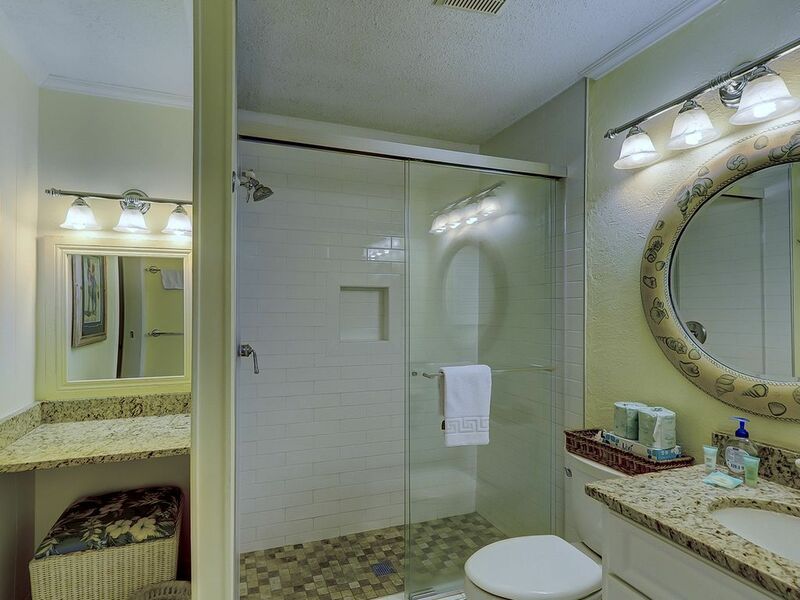 Wood flooring, granite counters, glass back splash and custom cabinets add to the natural beauty of your surroundings. 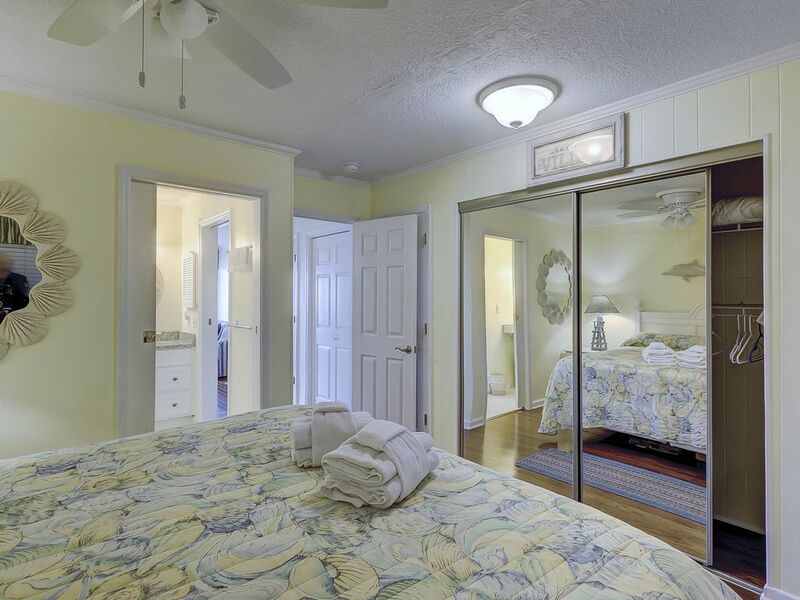 A spacious king size bed is located in the open concept bedroom which offers plenty of storage space. 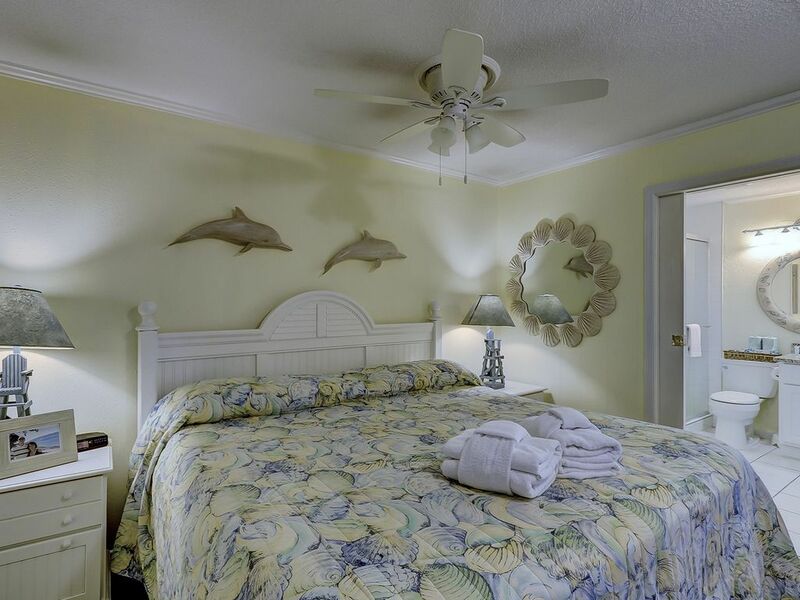 The fully furnished villa has all items you need for a relaxing vacation. Beach bikes, umbrella and chairs are provided for your convience. 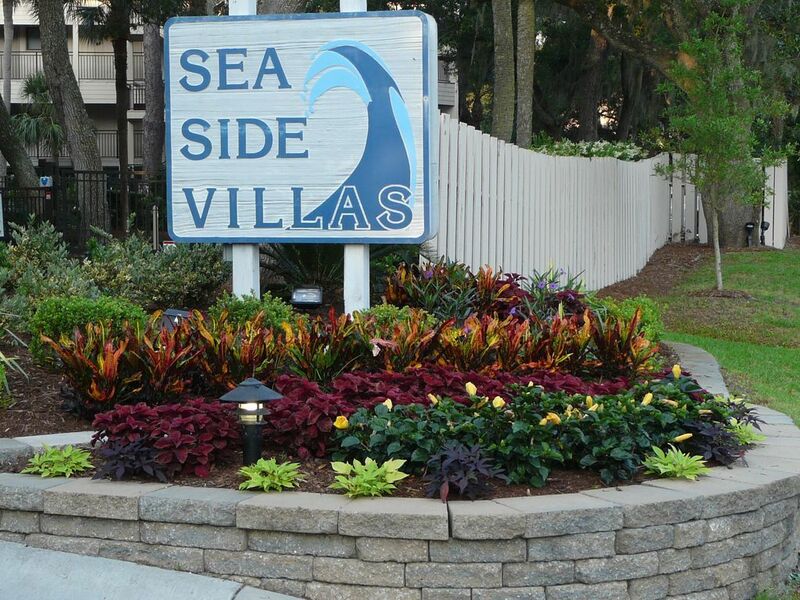 Sea Side Villa is a gated community with 2 pools, a grilling area, sun deck and swing. 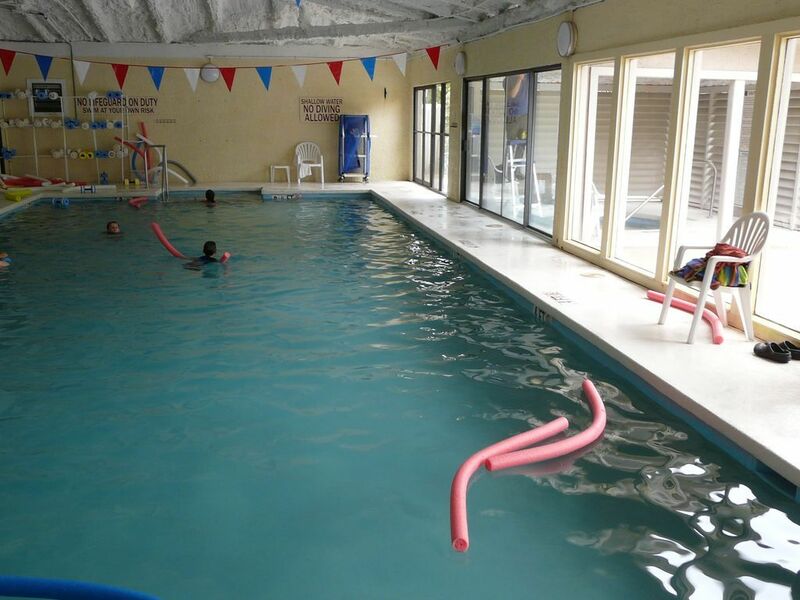 Access to a fitness center with a heated pool and jacuzzi is included. 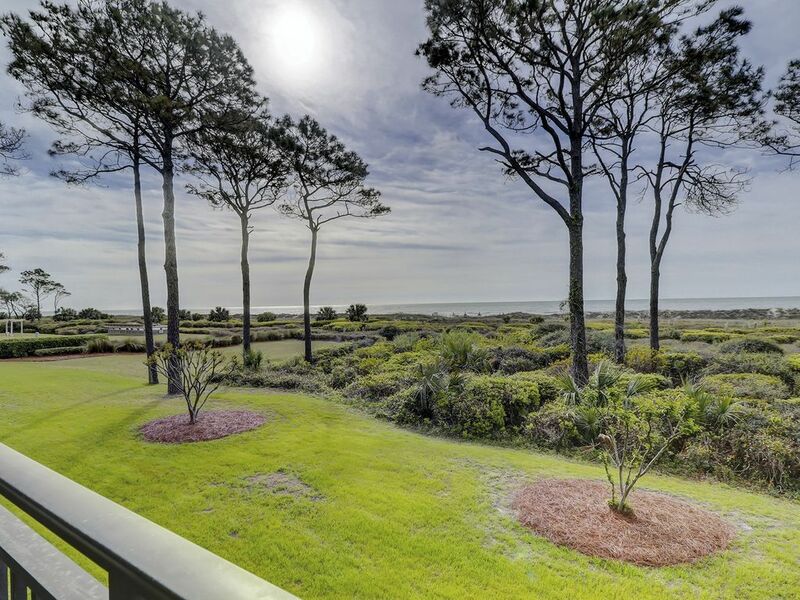 This is a large apartment complex and all of the units appear to have a least a view of the ocean. The grounds are mostly parking but attractive and well-maintained. 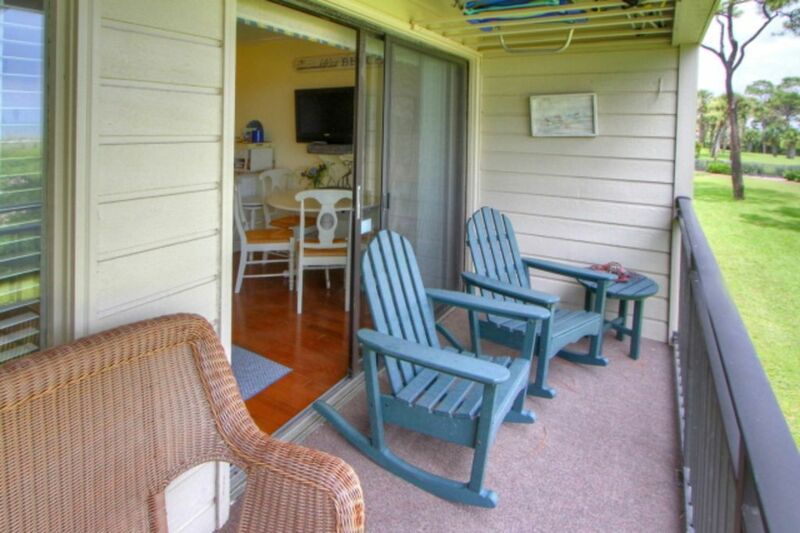 Our unit was perfect for two and was described accurately in the listings. 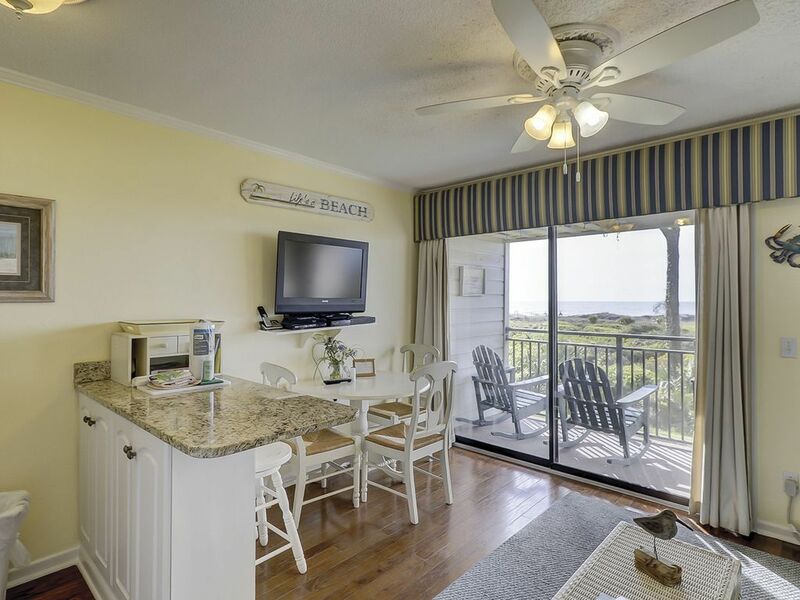 It had modern appliances, was clean, had easy access to the outside, furniture and paint were good quality, and (best of all) the view of the ocean from the lanai was first-rate. We frequently relaxed on the deck with a beverage and enjoyed the sun, breeze and wildlife (including a hawk which hunted and perched in the trees a few feet from us. We would recommend Charlie's Restaurant although we did not eat out much. 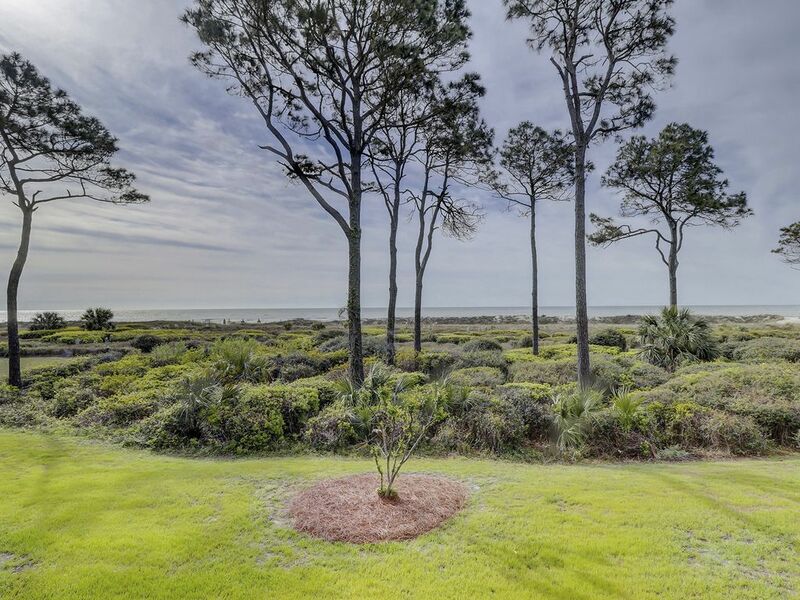 I highly recommend the beach which is two minutes from the apartment, and the Sea Pines Forest Preserve, The Coastal Discovery Museum at Honey Horn and the villages at the south end of the island. We had a chance encounter with the owner who was very friendly and eager to please. We have already recommended this unit to friends. This was the second time we've stayed in this unit and hope to stay there again. 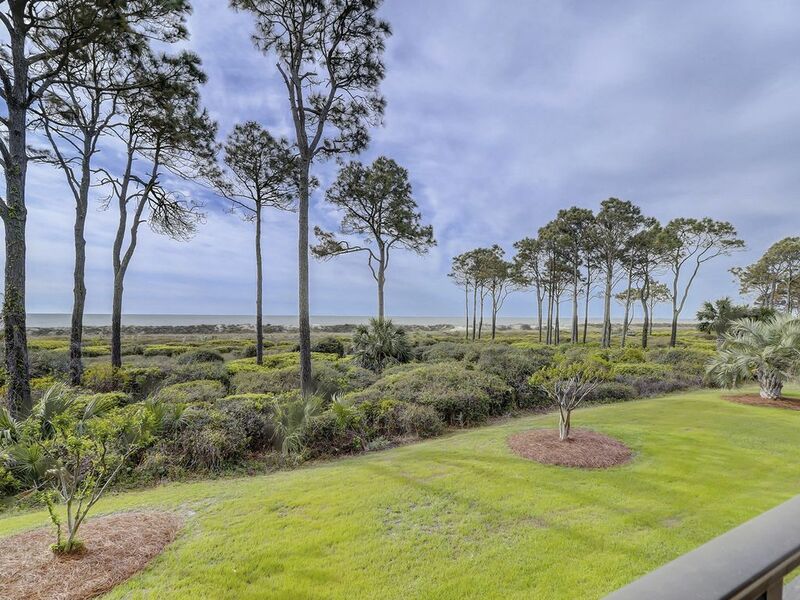 A great spot for bird watchers and senior adults. I was glad to see that the owner heeded suggestions (small details) we made after our last stay. I call that "responsive." This was a very nice place to stay--not huge--but well stocked and sufficient for all our needs. 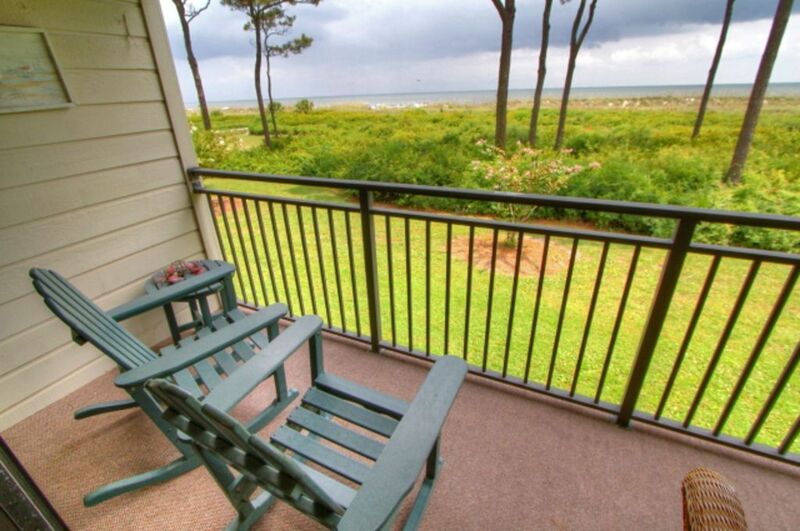 We loved having a beautiful view of the beach from our room--we didn't even have to go outside to see the sunrise! We could see, and hear, the waves on the beach, and it was a very short walk to the beach. Having the bikes was an added perk! Hope we can go again in the future! The view and sound of the ocean was wonderful. 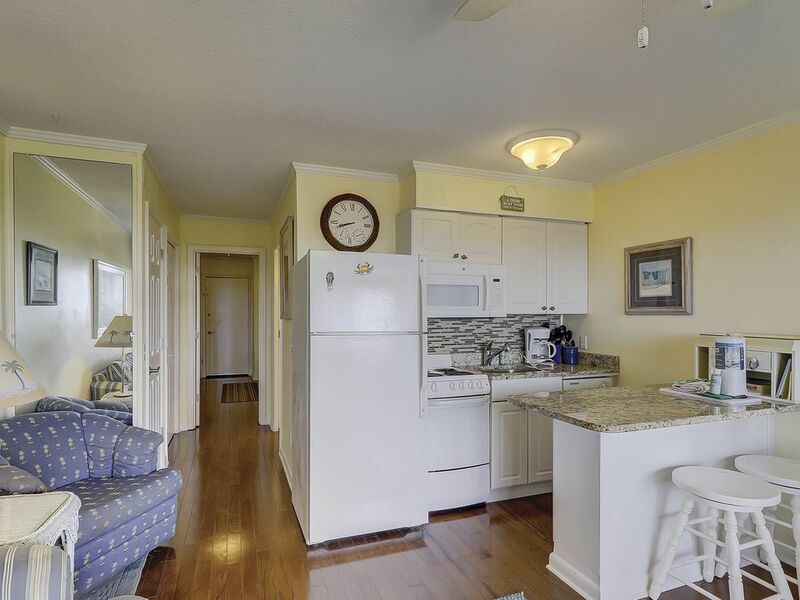 The location is a short walk to Coligny Square. The villa was clean and well appointed. The bikes and fitness center are a bonus. We will definitely rent here again. 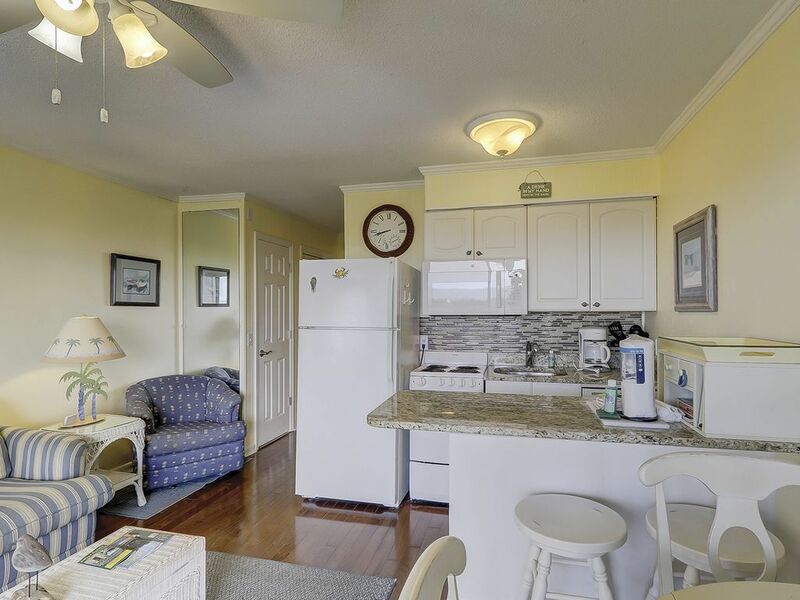 This condo has all the amenities you could ask for. It was very clean, neat, and we loved it. Had a small problem with ac, but David was very prompt and fixed the problem. This is very close to all the restaurants, shopping and couldn't be any closer to the beach. 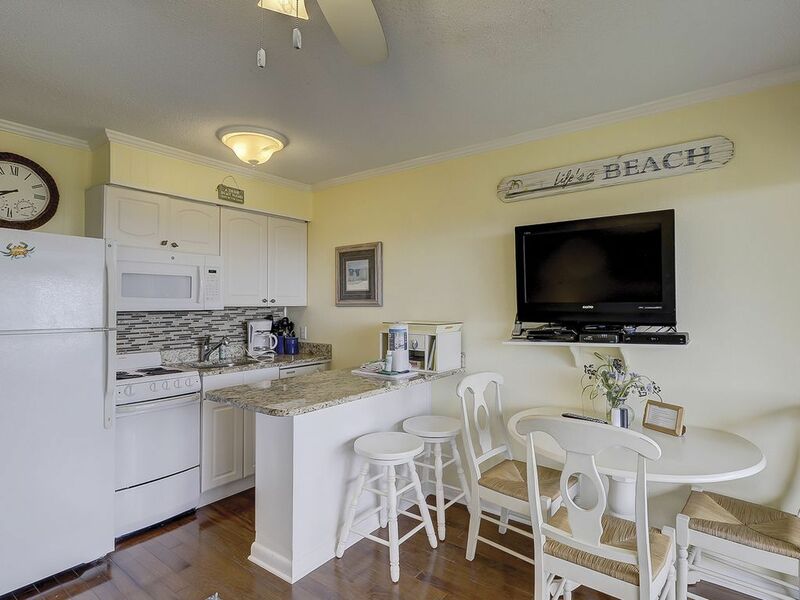 We have been vacationing in HHI since 2005 , many times staying in Sea Side Villas. We love it here, hope to be back in the future. 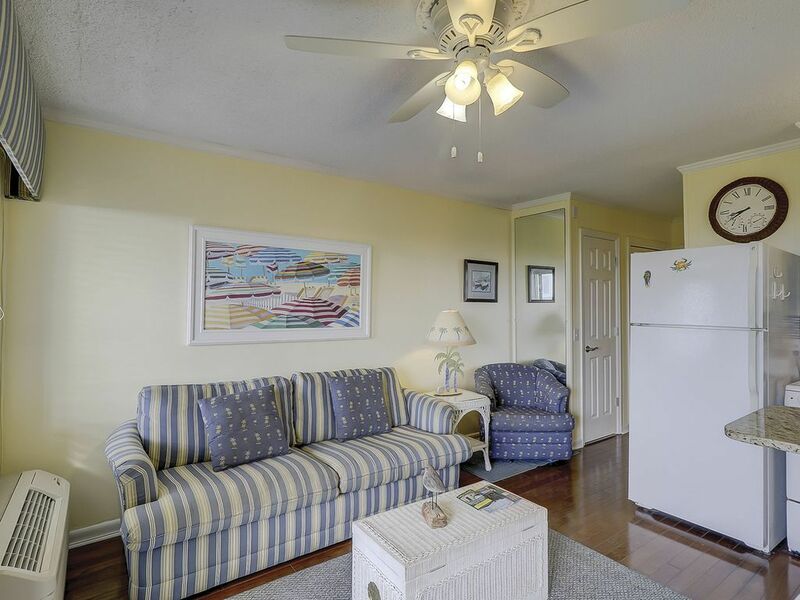 Condo listing very accurate, clean, well-maintained. Very good communication with the owner. Would highly recommend this unit.